I find that most of the best recipes I create are sheer happenstance, a coming together of odds and ends in my kitchen. A few weeks back, I whipped together some of these halloumi bowls with leftover potatoes from the breakfast enchiladas, the last lonely avocado in the refrigerator, and the halloumi I’d been hoarding for some time. One bite and I couldn’t believe how delicious this halloumi burrito bowl was. I posted to social and turns out, quite a few other people thought so too. And so, here’s the official recipe, fairly close to how I made it the first time. The combination of roasted potatoes with salty fried cheese and creamy guacamole- it’s close to my perfect meal. If you’re having trouble finding halloumi, look for it at your local co-op or ask your store if they can order it. Last resort- I’ve made my own paneer before then added a sprinkle of salt to the fried cheese. It’s not halloumi but it’s still fried cheese. Read more and see the recipe. 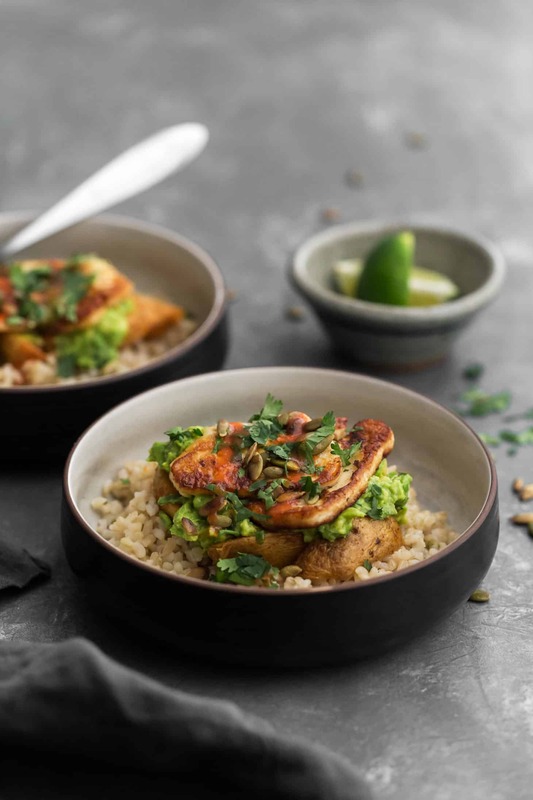 The post Halloumi Burrito Bowl with Roasted Potatoes and Guacamole appeared first on Naturally Ella.